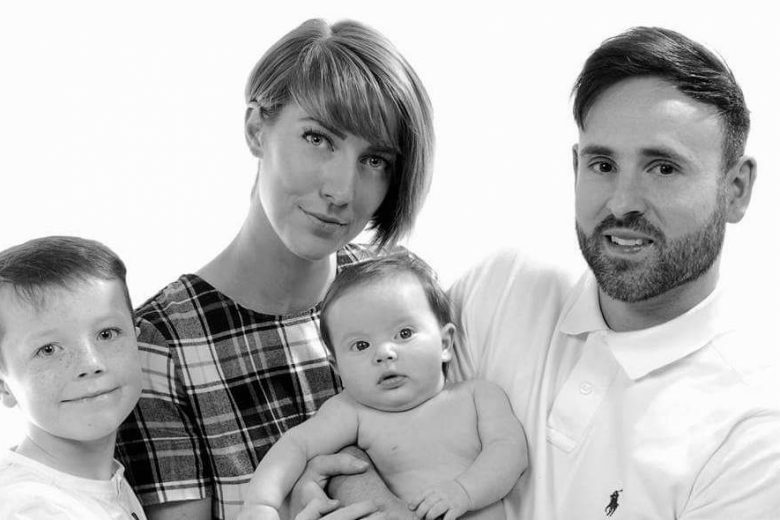 Read how ex-banker and mum-of-two Hayley finally realised her dream and started her own business, the Mother & Baby award-winning Inscripture (formerly Little Legs Boutique) – as featured in Vogue. I spent the majority of my career in banking (nine years), and spent a year in recruitment of apprenticeships, which I loved as got my own geographic area so was in my element being able to build and grow my own team. I have always had an entrepreneurial streak and was destined to have my own business but never had the courage to pursue it. I started with a small furniture business as I love interior design but had to give it up when expecting my daughter Isabella and the market was becoming saturated with the same products. I then took the plunge with Inscripture as childrens items are something I am passionate about and felt there was a gap in the market for unique, personalised, original items which can’t be found on the highstreet. You’re a busy mum and an entrepreneur of a successful business. How do balance work and children? I have an amazing support network of family and friends who help as and when needed, and my partner is extremely understanding and supportive by spending his evenings with our daughter and helping me with the packing and dispatch side of the business. I soon learnt that having a young baby and trying to work in the day just made my life stressful and I wasn’t getting the quality time with my children that Inscripture was intended for. So I structure my day to enjoy my beautiful children until bedtime and then nurture my third baby (Inscripture) late into the night. Of course this doesn’t always go to plan and my mum comes to the rescue to watch my little monkeys whilst I lock myself away in the office with my music to create new designs or work on a particularly time consuming project. I’ve lost all ‘me time’ but it’s worth it as am so passionate about my business and know I will get it back in time when the business becomes more and more established. 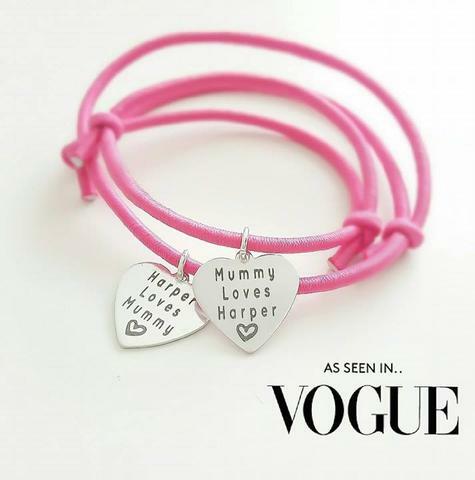 Inscripture is a personalised boutique creating unique keepsakes for parents and children from teethers to jewellery and soon to come much more. My biggest challenge has been overcoming the heartache of copycats. Myself and the team work extremely hard on creating new designs and concepts yet regularly see imitations appearing on the market. When you are so passionate about what you do, spend 90% of your day creating original items and constantly brainstorming and designing new products it is very disheartening to see someone trying to build off the back of our hard work and success. My proudest moment by far was being approached to feature in Vogue, along with four other magazines (Vogue was the only offer we accepted). 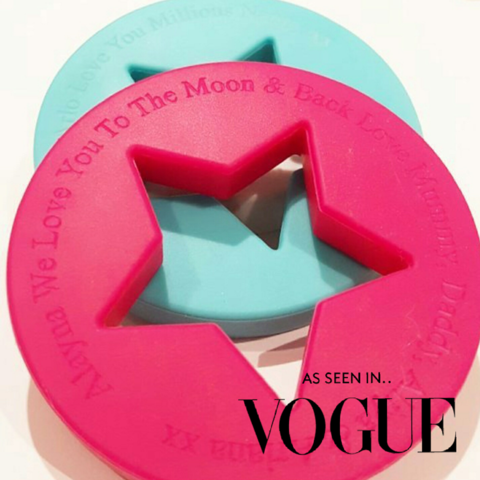 Also our nomination for the Mother & Baby Awards 2018 for our Personalised Teether, a first in its kind worldwide. It is such an honour to have our work acknowledged by such prestigious names. The most rewarding thing about having my own business is having the opportunity to watch my beautiful children grow up every day, enjoying every second with them whilst being inspired by them to create new and unique items. It is extremely hard work at times but I wouldn’t change it for the world. Inscripture is like my third baby except this one is nocturnal #24/7parenting. Do you have any advice for other mums looking to start their own business from home? My advise for any would-be mumtrepreneurs would be to be original, do something you really love and are happy to put the hard work into. Nothing is an overnight success, things take time and determination but if you are passionate about what you do then go for it and don’t give up at the first hurdle. You will come across many things which will make you want to quit sometimes or seem impossible to overcome but nothing is impossible if your heart is truly in it. You can find out more about Inscripture on their website.